A print is form of artwork whereby an image is transferred from one surface to another. In fine art printmaking, the image is created on a matrix and is transferred to paper with the application of ink and pressure. Fine art printmaking differs from reproduction printing where an artwork in another medium is photographed and digitally printed (typically referred to as a giclée print or archival inkjet print). An artist who produces original prints creates an entirely new image which is printed individually by hand. Each impression is pulled directly from the same matrix, which means that each print is considered an original artwork despite there being multiple impressions. A set of identical prints is called an edition, signed and numbered by the artist to indicate limited circulation. Edition sizes are decided by the artist or agreed upon with their publisher. Once an edition has been printed, the matrix is typically ‘cancelled’ by erasure or irreversible marring so that no more prints can be made, therefore limiting the number of impressions in existence. There are many different mediums within printmaking, and these usually fall under four main categories — intaglio, relief, stencil and planographic. Prints can also be produced digitally, where an artist creates a new image through a specific digital medium. The term lithography is derived from the Greek origins litho - meaning stone, and graphos - to write. Lithography is a planographic process, meaning that the image is created from the flat surface of a specially prepared limestone or aluminium matrix. Unlike intaglio or relief, there is no need for incision or direct physical alteration of the surface in order to create the image, as the technique relies on chemically treating the matrix to define oil-attracting “image areas” and water-attracting “non-image” areas. The artwork is drawn with greasy materials of various forms, such as crayons, pencils, and washes. The drawing is then processed using an acidified gum arabic mixture which chemically de-sensitises the image area to grease and dramatically increases its attraction to water. By keeping the matrix dampened during printing, a greasy ink may be applied to the drawing and transferred to paper with a press. The direct drawing process allows for a huge range of aesthetic freedom, from bold flats of colour to fine drawn lines and brushstrokes. Intaglio is a printmaking method whereby the image is formed by making direct incisions into a matrix - usually copper, zinc, aluminium or steel - using sharp tools or by immersing it an acid bath. Ink is pushed into the recessions and the surface is wiped clean. Dampened paper is laid over the matrix, and run through an etching press to transfer ink to paper. Intaglio is one of the largest printmaking groups and includes etching, drypoint, engraving, aquatint, mezzotint, sugarlift and spit bite, to name a few. Intaglio printmaking allows for a range of line-work and tonal values, and many intaglio matrices can also be rolled up in relief to produce a multi-colour or negative image. woodcut (relief block, wood matrix). Relief is the oldest form of printmaking, dating as far back as the 1st Century AD in China. Common matrix materials are linoleum and wood, although many variations are now available. Relief printing is essentially the opposite of intaglio — the image is created by carving the material away with specialised tools (known as ‘gouges’ ) to create deep valleys in the plate. Ink is applied directly on the top of the remaining plateaus with a roller or brayer, leaving the gouged valleys un-inked. 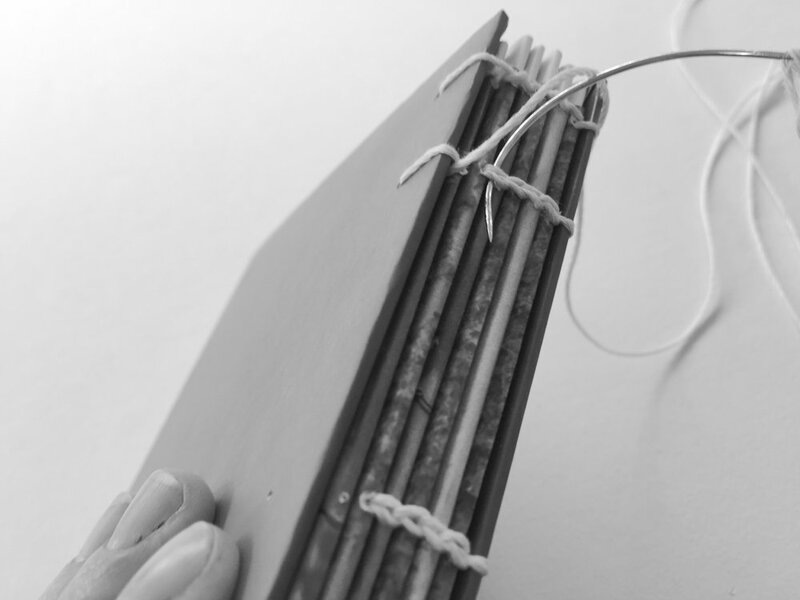 Artist books are artworks created in book format. Books can be editioned or unique (one of a kind) and can encompass a range of forms including concertina, pamphlet, coptic bound or sculptural.